Sort your dirty laundry and freshly clean clothes with ease using this Beldray hip hugger laundry basket. Made from strong plastic, its smart design is shaped to fit to your hip, with brilliantly durable handles so you can effortlessly carry it upstairs, outside or to the laundrette without straining your back. Making light work of a heavy load, the traditional lattice basket has an impressive 56 litre capacity, essential for keeping on top of the laundry for your busy family or the weekly wash.
Make laundry incredibly easy with this Beldray laundry basket, perfect for carrying a large load around your home or to the laundrette. Measuring 71 x 47 x 29 cm, it has an extra large capacity of 56 litres so you can efficiently carry all of your laundry in one basket. With a unique ergonomic shape, the basket hugs your hip as you carry it, making the weight feel lighter and preventing back strain. 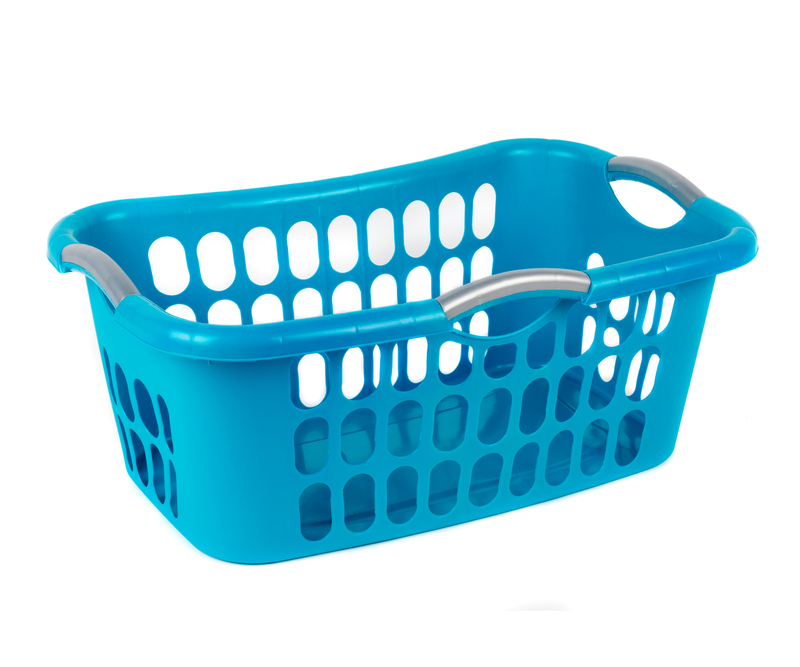 In turquoise with grey handles, the traditional lattice style basket is made from very durable plastic and can withstand a heavy load. 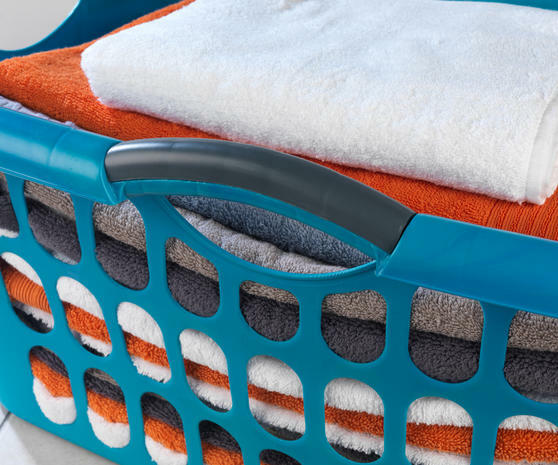 Use the basket to collect up dirty clothes and bedding, whilst emptying a load from the machine or gathering washing from the line.